Hevea Non-Toxic, Pure Natural Rubber Kawan Teether, Highly hygienic design, Plastic-Free. Peace of mind for you, non-toxic for your baby. The Iconic Hevea Kawan teether is made of pure natural rubber and is completely free of PVC, BPA, phthalates, and plastic. The color is painted with pure natural plant pigments and helps stimulate and encourage the baby’s vision. 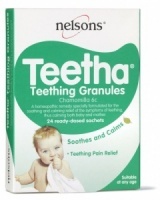 Irritated gums will find great relief chewing the textured beak, feet, and neck. 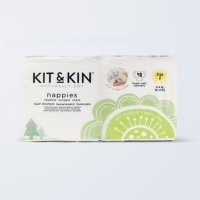 Kawan is soft, light and gentle, and easy to hold for even the tiniest hands. The one-piece design has no squeaker, cracks or joints, which prevents the build-up of bacteria and mould. 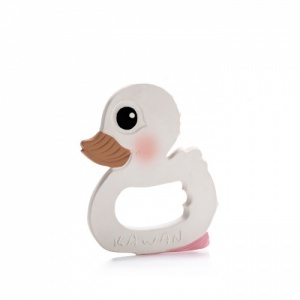 The Kawan teether comes in an eco-friendly white gift-box with a cute duck cut out in front of the box, perfect for both girls and boy. Kawan is from Malaysia, where his name means Friend. Safe by nature, beautiful by design. My son is 3 months old so he is having difficulty holding on to the teether and it is still too large for his month to really chew. This product is made from natural rubber so it is very soft and light and will be perfect for when he is a little bigger. The hand grip will also be more suitable for him when he grasps things for longer.